Nevin Strite of Hephzibah, GA, approached me about redesigning the website for Upside of Downs, Inc. Formerly hosted on Wordpress.com, they wanted to improve the overall design and integrate their Facebook page feed into the site, while not losing their prominence in search results. I recommended they migrate away from Wordpress.com, which limited their custom design options, and toward a hosted Wordpress site. 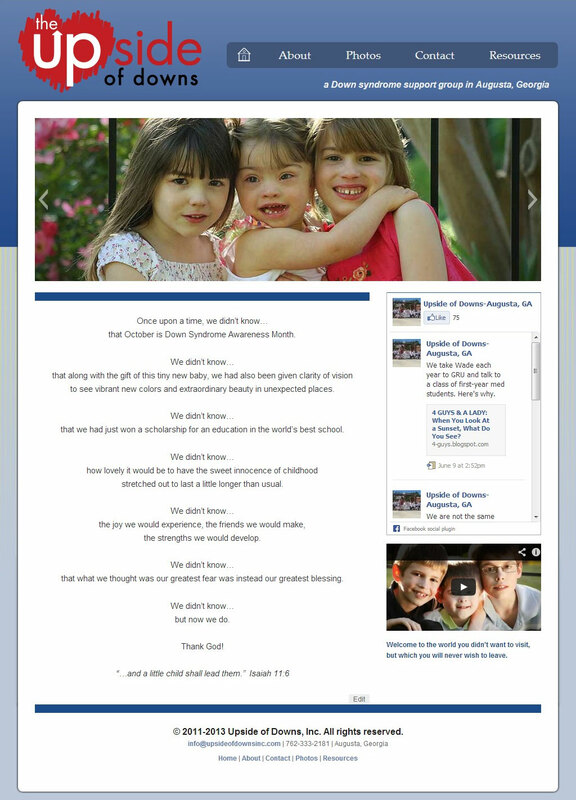 At this date, their site continues to rank #1 in Google searches for "down syndrome augusta ga."